Eeek, I’m a teeny tiny bit late with this post but not too late for some of the courses which start this week. I’m sure Sarah would be able to accommodate you in you are interested. I’m so passionate about young people’s health and fitness, as well as their parents! I also run a class every single Wednesday evening at All Saints Church Hall 6-6.45, £5 a time (drop in) for adults to squeeze in a child free work out. 2017 has been a tough year. This year has challenged me more than I ever expected. I’ve learnt many, many lessons during this year. I’d love to be doing a positive post about how awesome 2017 was, and it was in many, many ways but it was also one of the toughest years that I’ve been through since I started NHM. I thought 2016 was really tough but it was NOTHING compared to this year. There is so much that I want to say about 2017 but it’s too personal to share. I’m still processing a lot of things that have happened this year and it feels like this is going to take a while longer. But, I’m still here, so are you and so is NorthHantsMum and I’m very, very grateful for that. “Joyful January”. I’d love to try this again in January, so if you are interested, please let me know! I was asked to be a sponsor again for Basingstoke Track Party, I finally got around to putting together an FAQ for the site, and this heartbreaking post was sent to me by a local Mum. Miss NHM and I were verbally attacked by another parent on school property. It wasn’t a very nice experience but I’m very proud of myself for not swearing at her. Miss NHM was very shaken up after this for a long while after. I wanted to blog about this but we had too much going on at home. With everything going on in my personal life it was a struggle to publish every week day. I am incredibly grateful to the AWESOME NHM Support Ladies who have really come into their own this year and helped me out immensely on NorthHantsMum. I dealt with a Domestic Abuse situation via NorthHantsMum. This was waaaay beyond what I ever expected to be covering on NHM and I found it a very stressful situation, even when it wasn’t happening to me. Miss NHM was diagnosed with a lifelong autoimmune disease. The floor fell out from under our family. NorthHantsMum turned 6 years old. Mr NHM was the best man at his best friends wedding and we had an awesome day! We discovered that Miss NHM was being subject to abuse by one of her Teaching Assistants. The schools behaviour in response to this, particularly the Head teachers, was despicable. My friend Sue took Miss NHM and I to see our first #SittingwithJane bench. The school holidays started. NEVER have I needed the school holidays to start than I did this year. Miss NHM started to heal and wasn’t quite as anxious or stressed as she had been, mainly because she wasn’t at school. I came up with the inspired idea of keeping a #SittingwithJane bench in Basingstoke. The irony is, this was one of my goals at the start of 2016, to have a bench in a public place that Mum’s and their children could use to meet at. Unfortunately, with everything going on in my personal life, I dropped the ball in 2016, so when it fell into my lap in August 2017 it just seemed so perfect. The whole bloody project nearly broke me. Next time I decide to take on a project of this size, with a seriously sick child, a full time job in part time hours and the summer holidays – will someone slap me please? In the first week of September. we removed Miss NHM from her school as it was clear they weren’t going to listen to us or the medical profession, my Mother had what they now think was a mini-stroke, we moved Miss NHM to another local school, the washing machine, boiler and my car all broke and on the Friday I had the #SittingwithJane auction, which the Teaching Assistant who had been subjecting my daughter to abuse was also at. It was a very, very, very stressful week. But we got the bench. YAY! Congrats again to those winners of the competition. I sent out the first NHM Survey in over a year and had some AMAZING feedback from you all. Thank you! It meant even more after everything that’s happened in the past two years, to know that my time isn’t being wasted. I started the “Inspirational Mum’s” programme. Myself and a couple of the NHM Awesome Support Team were very kindly invited to review Absolutely Karting. Which reminds me, I really need to write that post up! Opps! 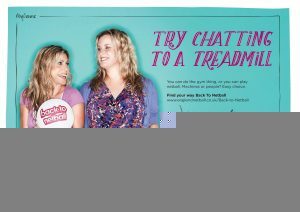 I FINALLY sorted out the “subscribe” option on the NorthHantsMum.co.uk website. I’m not technical so this was a huge step forward, to work it all out and get it all sorted. So you can now receive all of the posts published in your emails. Double YAY! I published a post about Y2 Autumn Term. Normally I’m so upbeat and positive on NHM but I’m not very well today which isn’t helping and it has been a really, really, really tough year. But I’m very grateful and thankful that as a family we are coming out of it and that you are all still here supporting NorthHantsMum. I have no idea what 2018 will bring for any of us, but I do wish you all an AWESOME 2018. For those of you celebrating tonight, have a great one! For those of us who will be in bed long before midnight, sweet dreams :-D.
2015 Festive Place Christmas Lights Switch on in Festival Square. 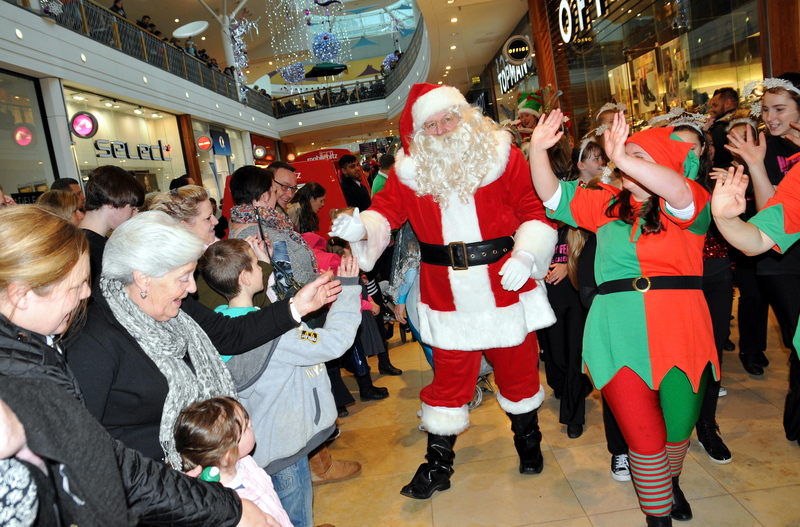 Plans are well under way at Basingstoke shopping centre, Festival Place, for a Christmas to remember. Kicking off the festive activities on Friday 11th November, will be the famous Festival Place Christmas Light Switch On. Featuring stars from the annual Anvil Arts pantomime and an array of family entertainment, this fun event is sure to get everybody into the Christmas spirit. Sunday 4th December will then see the return of the well loved Festival Place Santa Parade, featuring an array of Christmassy characters marching from Porchester Square to Festival Square for the festive parade. 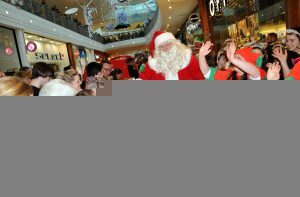 Leading the event will be Santa himself, giving shoppers a welcome break from their Christmas shopping to enjoy the entertainment. 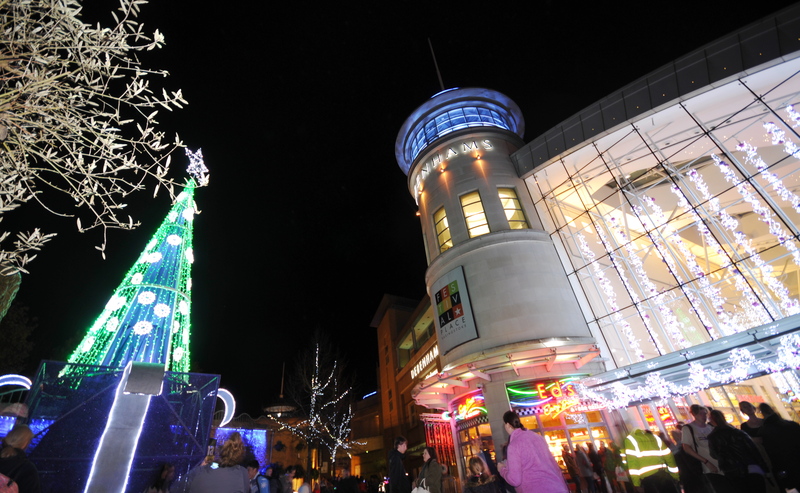 The Santa Parade and Christmas Light Switch On come as part of a series of events and activities coming up at the centre to spread the Christmas cheer this festive season, alongside their name change for the second year running from Festival Place to ‘Festive Place’. 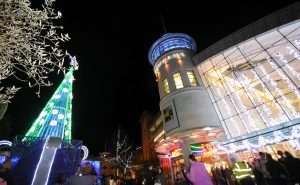 To keep up to date with details of Festival Place’s Christmas activities and other events at the centre visit www.festivalplace.co.uk or find them on Facebook, Twitter, Instagram and Pinterest. 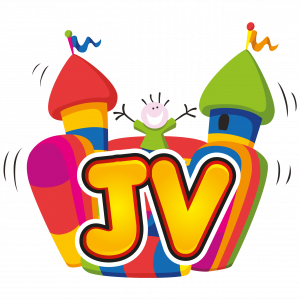 I’ve been working with the team from “JV Bouncy Castle hire” for the last couple of years and they are absolutely brilliant!!!! Very professional and reasonably priced. A kids birthday party…it really is enough to strike fear into the heart of any parent. The thought of entertaining and feeding upwards of 20 small people, all of whom will have different needs, likes and dislikes. You want it to be safe, fun, entertaining – and over in a maximum of two hours! Soft play is a perfect choice for kids parties and can be arranged to suit kids of all ages and abilities. Plus soft play can have special significance for children with sensory and autistic spectrum disorders. Best of all, you can tailor the soft play experience to suit the children attending the party – all without needing to go to a generic soft play centre. What makes soft play so good? We all know that active kids are tired kids at the end of the day. A win win for most parents. But research backs this up by showing that children who are active are more likely to be physically, emotionally and socially happy and they also get the chance to show off their brilliant imaginations. But it is the safety aspect that might appeal to party organisers more. Soft play apparatus gives kids the chance to jump around, jump on and off things and jump on each other without fear of hurting themselves. The soft landing gives them confidence and allows them to stretch their limits without helicopter parents hovering at every turn. Soft play is ideal for children with sensory and autistic spectrum disorders . The apparatus is often brightly coloured, has rounded and soft features and even incorporates different textures to attract children to different areas and types of play. From a ball pit full of plastic balls to a bouncy platform with ride on horses, kids can have experiences that are simply beyond everyday life. Parents have reported that their special needs children come out of their shells in this environment and want to interact both with their parents and with their peers. A soft play centre has fixed apparatus giving you little choice when it comes to party types and themes. Arranging your own soft play party gives you so much more flexibility. You can choose your soft play theme to suit the age group then add lots of cool stuff like ball pools, inflatable tubes, shapes, ride on toys and slides. Forget the magician and the disco – soft play really can keep kids happy for two hours or more. We are not suggesting that there won’t be tears, tantrums, spilt juice and mini arguments – but everyone will go home happy, tired and excited about the next party! If you would like to book a soft play package for your children’s party we would be delighted to help – just give us a call on 01256 277075, pop us an email to admin@bouncycastleshire.co.uk, or simply browse and book online here: https://www.bouncycastleshire.co.uk/. The new Christmess term booking is now open with Messy Monsters Basingstoke and starts next week. Tuesdays @ 10.30 Friday’s @ 12.45 Various Sunday events available. 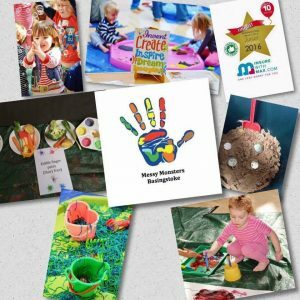 Classes and events are aimed at sitting/grabbing age right up to infant school age, we offer a variety of sensory, craft, art and messy play materials, a little bit of something for everyone. Messy Monsters are fully insured, crb checked, first aid trained and equipped with a fun sense of imagination, so you can be sure to enjoy a fun messy and creative experience in a safe environment. For further information on joining a class do get in touch via the link below ???? 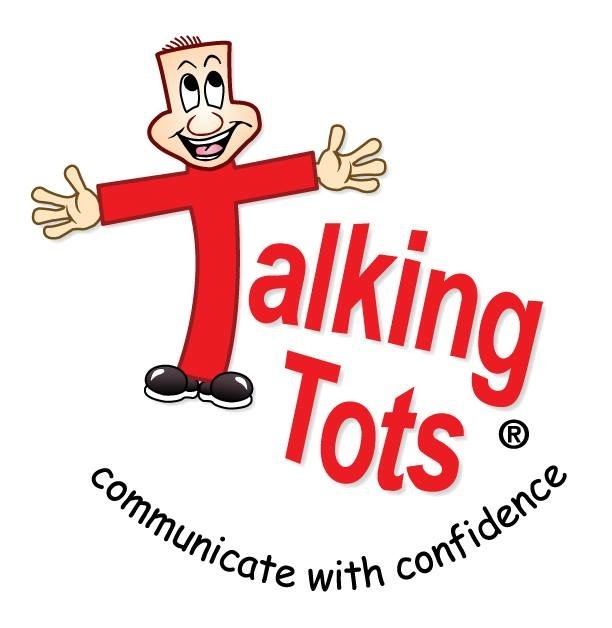 My name is Debbie and I am really excited to be bringing Talking Tots classes to Basingstoke and surrounding areas! For the past 16 years I have been working in education, first as a Portage Home Visitor and then an Area Inclusion Co-ordinator supporting children with additional needs. I am also a Regional Makaton Tutor. I am very passionate about the importance of being a good communicator. To be able to communicate confidently we need to have good concentration, listening and attention skills, social skills and high self esteem. Classes are £5.50 per week and are booked half termly. Special introductory offer – 4 classes for the price of 2!! One sibling may attend free of charge. We are looking into starting a class specifically for children starting school September 2017. We also have an Early Years programme for schools, pre-schools and nurseries. If you have any questions or would like to know more about any of the classes please contact me. 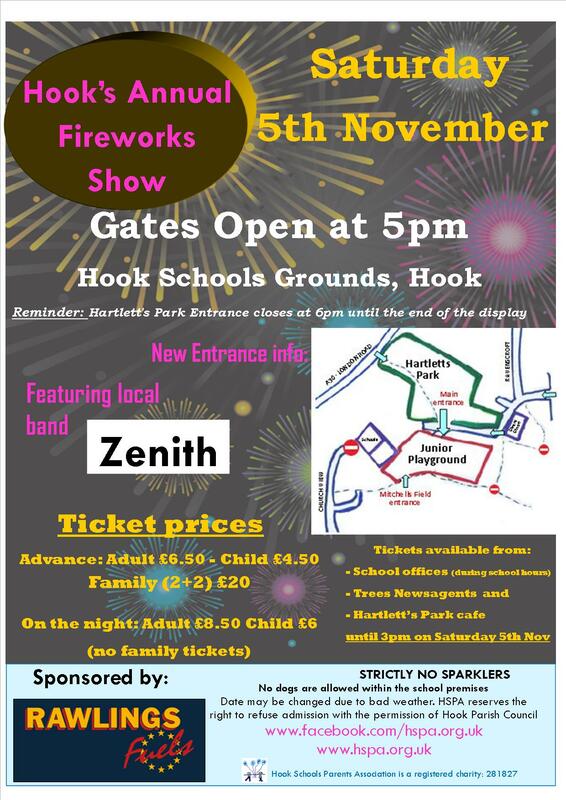 The Hooks Schools Parents Association is holding their annual fireworks extravaganza on Saturday 5th November. The event is held on the Junior School site, off Ravenscroft in Hook, Hampshire. Gates open at 5pm, with plenty to enjoy before the fireworks, including fairground rides, bouncy castles, entertainment from local band Zenith PLUS lots of delicious treats such as mulled wine, hot chocolate with marshmallows, candy floss and our renowned BBQ! It promises to be another fantastic community event with lots of fun for the whole family. 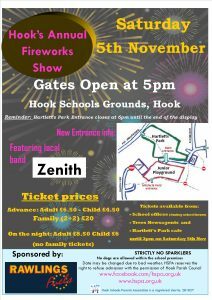 Tickets are available in advance at discounted prices from school offices, Trees Newsagents and Hartletts Park café in Hook. Advance ticket sales will end at 3pm on Saturday 5th November but you can still pay on the gate. I need to be the best Mum that I can be for my daughter. Which is why I am cancelling the NorthHantsMum 2016 Christmas Expo. Some of you may remember that in August last year we moved from the old WordPress site to the new NorthHantsMum.co.uk site. In May of this year my technical “person” advised me that she couldn’t support the site anymore. She left me floundering. I literally had NO IDEA what to do with the back end of the site. I’ve spent the past six months trying to sort things out in the back end and it’s been very, very, VERY frustrating and stressful. In April of this year I was advised to switch off the old wordpress site which means that I can’t reactive it, so I can’t even go back to that. My aim is to post every week day. You may have noticed that I have randomly stop posting every so often, in the past six months. It’s not because I don’t want too, it’s because I literally can’t post anything because something has happened in the back end site. Again. I’ve “wasted” a lot of energy in the past six months trying to sort stuff out behind the scenes. My stress levels have rocketed. It’s affecting the most important relationships to me and it’s knocked my confidence in NHM. I want to have the energy and head space to write some more personal posts which I just don’t have the time for anymore. When Mr NHM came up with the idea that I raise money for a bench, a safe place for Mum’s to meet in a local popular park, I was totally up for running another Expo to raise funds to this. I put out a plea asking for help and am so very grateful to all those who have volunteered. Even with all of this help, I just can’t run the Expo this year. My sanity will not remain if I go ahead. Last year, when the electric was off until 2 minutes into the start of the Expo (1.5 hours setting up in the dark!?!?!?! ), I was practically catatonic. It takes me three weeks to get over an Expo, the planning, the stress and all of the table moving and cleaning up after, when things go “well”, let alone when they don’t. My hips have never been quite the same after having to move 48 tables for the 2015 Spring Expo. In March I did the 2016 Spring Expo whilst suffering from flu. 100 people booked tickets and 15 people turned up. I worked so hard to make it a successful event, whilst feeling dreadful, and it was so frustrating when it didn’t come together. So, for the sake of my sanity and my family I am cancelling the Expo this Christmas. I’m very sorry to all of those people I am disappointing but hopefully you understand why I have to do this. Hopefully I will get the technical issues sorted out in the background and then I will be able to focus my attention on the bit I love, providing quality content and support to local Mum’s. 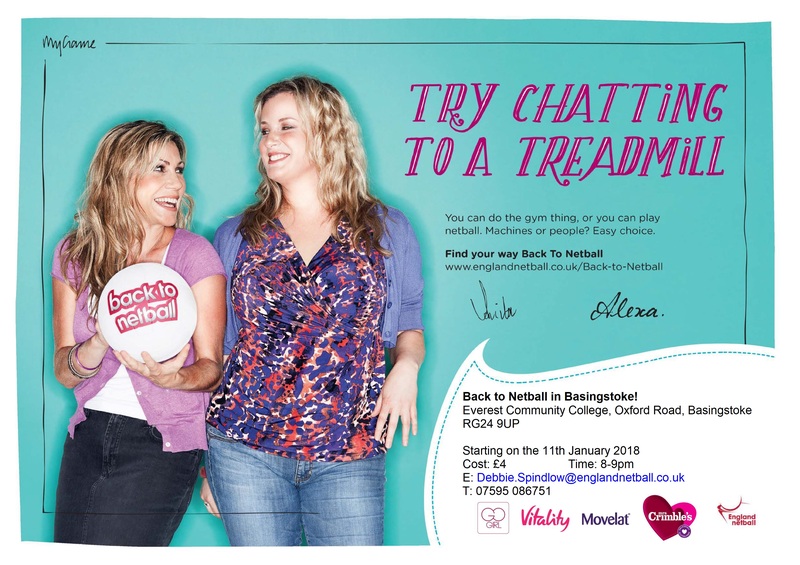 Updated on Monday 17th October: Fundraising for the NorthHantsMum Bench: gofundme.com/northhantsmums-bench-2uncp5w.